IP finance: What are we to make of the Defensive Patent Licence? What are we to make of the Defensive Patent Licence? Why has discussion on the patent troll phenomenon taken on a bit of a true-believer tone? A case in point is a recent posting on the Cyber-Prof listserv, which is captioned "Private-Ordering Approaches to Patent System Issues-and Defensive Patent License Launch - Conference". It is authored by Jennifer Urban, here, who is the Assistant Clinical Professor of Law and Co-Director, Samuelson Law, Technology & Public Policy Clinic at the University of California-Berkeley. Let me bring the readers material portions of the post accompanying this notice. “The current patent system poses a growing threat to innovators. Broad patents of often suspect quality can cripple legitimate competitors and prevent new entrants’ access to the marketplace. Patent trolls buy these broad patents and use them to threaten everyone from large companies to start-ups to municipalities and non-profits. 1. What is the empirical evidence for the assertion that “[t]he current patent system poses a growing threat to innovators”, which “cripple[s] legitimate competitors and prevent new entrants’ access to the marketplace.” Patents have always been exclusionary, which is inherent in the nature of a patent as a negative right. What is different this time? The claim seems to rest on the view that there has been a “decline” in innovation. Maybe yes, maybe no, depending upon how one defines innovation, develops a metric for measuring whether innovation is roughly increasing or decreasing, and then can successfully disentangle the ebb and flow of innovation within a normal statistical range from a statistically significant departure from this range. While there has been some empirical research in this regard, to conclude that the patent system is a “threat” to innovation seems at best premature and at worst a bit overwrought. 2. Public patent enemy number one is “broad patents of often suspect quality”, which are then exploited by the patent troll. Here, as well, I am not certain that the research is as clear as suggested. Indeed, I have encountered claims that patent trolls actually make use of patents of reasonable quality. This is assuming, of course, that it is even possible to measure patent quality objectively and point to a decline, at least in some areas, over time. The iconic words about the decline of the youth generation, as taken from the Broadway musical of a half a century ago, “Bye Bye Birdie”, here, merits attention. “Why can’t they be like we were, perfect in every way. What’s the matter with kids [read patents] today.” Perhaps we are imaging a patent past perfect that never was. 3. The connection between patents and innovation is highly nuanced and not entirely understood. As I recently suggested elsewhere, in “The Misplaced Patent Narrative”, here, there may be swathes of innovative activity for which the patent system is of limited relevance. But even if we are talking about inventions (after all, patents are about invention, which is a legal notion, and not about innovation, which is beyond the legal IP pale), something more profound may be taking place in the intellectual IP environment. Thus, if we are speaking of ebbs and flows, what may be occurring is a broader intellectual return to the anti-patent ethos that was present from the post-WWII era through the 1970s (though patents were then seen more as threats to competition to innovation). 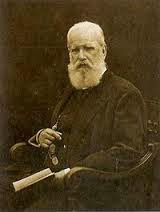 That patents fall in and out of intellectual favour may be cyclical and correspond to rises and declines in innovation (without any necessary causal connection between the two phenomena). 4. There is a sense that enforcing one’s patent borders on being an “illegitimate” use of the patent right (except for “defensive” purposes, whatever that precisely means). Indeed, the DPL seems to rest on the notion of patent altruism: that it's better to “pool” patents as a collective shield in the name of innovation than for a patentee to assert its patents against a competitor, or for an inventor to seek to monetize his invention by whatever legal means that are available. Whether such an altruistically communal view of the use of patents will in fact lead to “more” innovation” is hardly self-evident and may even be misplaced. I suggest that the DPL supporters take a close look at the kibbutz experience in Israel, here, for an illuminating example of the limits on any experiment resting on communal goodwill in the face of individual self-interest. 5. The ability of an arrangement for the defensive aggregation of patents, such as in the DPL framework, to reduce patent troll activity, also needs to be empirically established. The theory seems to be that such aggregation will serve to dry up the potential pool for patent troll-exploitable patents. Here, as well, maybe yes, maybe no. Ultimately, whether this will come to pass will depend upon whether the type of patent and patentee that seeks the services of a patent troll will be likely to enter into a DPL arrangement. Much more research is required on this point. Don’t get me wrong. My critique is not directed at Professor Urban, who is affiliated with one of the great universities/law schools/centres of innovation in the world. My reservations rest on whether we really know enough about the connection between innovation, inventions, the patent system, altruism and collective behaviour to consider “innovative private-ordering solutions to address the patent threat issue … [that] can hand-in hand with congressional or judicial systems.” Perhaps a larger dose of humility, at least for the present, might be in order. I think your article raises many important points. However I think it is a little hostile in areas where empirical data is not available. I think often one must simply accept when someone's assertions are 'reasonable' because supporting data won't be available, but that should not mean the person cannot comment. 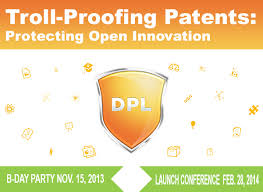 The fact that DPL has come into existence represents some sort of failure of the present patent system. It also has anticompetitive implications.